A large group photo of seventeen women, all contestants for Queen of the Centennial. 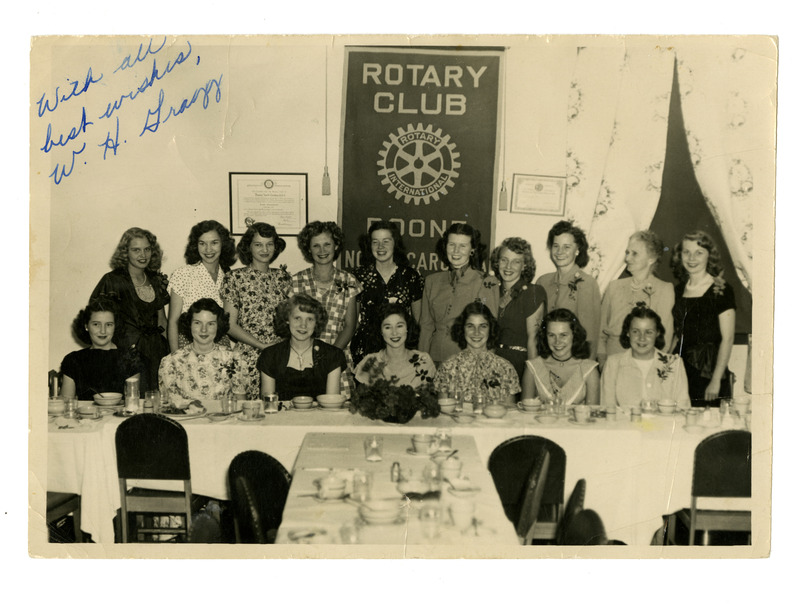 Sitting left to right: Barbara Jones, Shirley May Swift (Mack), Virginia Moody, Billie Bagett (Parker), Rebbecca Shoemake, Joan Aldridge; Standing: Annie May Carroll (Blackburn), Mickey McGuire (Hagaman), Dot Wilcox (Norris), Katy Sue Farthing (Greene), Velma Burnley, Mary Helen Teague, Virginia Jones (Bingham), Mrs. Whitehead, Rachel Ann Vance (Malcolm). 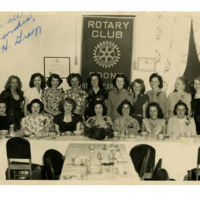 The women are gathered around a banquet table in front of a banner for the Boone, North Carolina Rotary Club. In the top left corner there is a note written in blue ink that reads "With all best Wishes, W.H. Gragg." 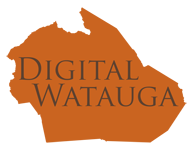 Palmer Blair, “Queen of the Centennial Contestants ,” Digital Watauga, accessed April 25, 2019, http://digitalwatauga.org/items/show/5832.